My first encounter into the area of injury law unfortunately happened when my own mother’s malignant melanoma skin cancer was misdiagnosed by a local doctor. By the time the melanoma was properly diagnosed, the cancer had spread throughout her body and ultimately killed her. From this experience, I discovered that you need to do your own research, learn the medicine, and become a strong advocate. I was so passionate in my personal fight, that I decided I wanted to help out other inured accident victims. In 1998, I started my own law firm and accumulated an amazing, talented, and caring team with plenty of resources and expertise to take on the biggest insurance companies, such as State Farm, Allstate, GEICO, and Progressive. 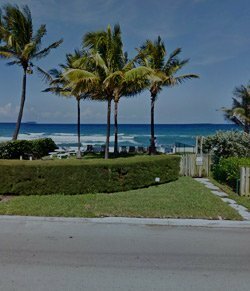 What Should I Look For In A West Palm Beach Personal Injury Attorney? 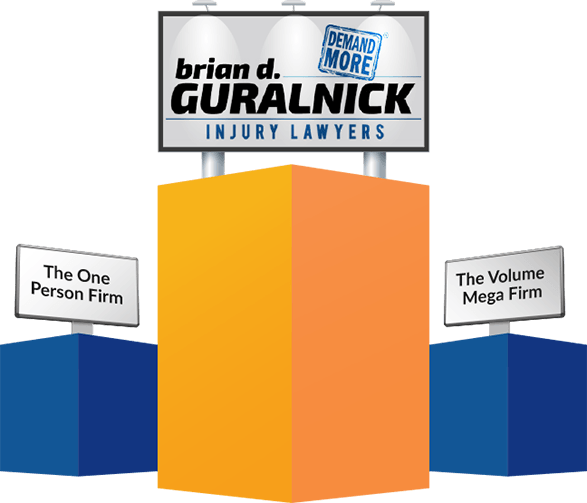 Brian D. Guralnick Injury Lawyers provides the V.I.P. attention and treatment of a one person firm, combined with the experience and resources of a volume mega firm. As a Brian D. Guralnick Injury Lawyers client, you get a team that includes your own lawyer, case manager, legal assistant, and if your case needs to go to trial, a board certified civil trial lawyer. Only 1 % of all lawyers in Florida are board certified – a distinction upon which the law entitles them to be called “experts” their field. 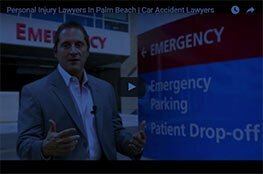 Our personal legal team approach has allowed us to help thousands of injured accident victims in Palm Beach County recover tens of millions of dollars since 1993. Call our West Palm Beach personal injury lawyers first before speaking with any insurance company or choosing a non emergency doctor. You do not want to give statements to these individuals that may go against your interest. The Law Offices of Brian D. Guralnick have absolutely, 100% exceeded my expectations. They are more than a law office. Having Mr. Guralnick as my lawyer was one of the best decisions I could ever make. I will be recommending him to everyone. 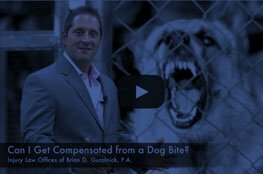 My experience with the Law Offices of Brian D. Guralnick has been amazing. I was treated with the utmost professionalism and care. Me congratulating Sam upon obtaining his Board Certification status. With over 20 years experience, Sam is an accomplished trial attorney. In fact, Sam has been designated by the Florida bar as a Board Certified Civil Trial Lawyer. Only 1% of all Florida lawyers have achieved this prestigious designation which entitles him to be called an “expert” in this area of law. He has aggressively fought for victim’s rights while a criminal prosecutor for several years in both Palm Beach County, FL and New York. Call our experienced personal injury attorneys first before speaking with any insurance company or choosing a non emergency doctor. You do not want to give statements to these individuals that may go against your interest. At the Law Offices of Brian D. Guralnick, we pride ourselves on putting high quality, personal care, and attention into your case. The majority of the cases we take on settle before trial for a successful settlement - but in the case that you aren’t offered a settlement we are happy with, I am prepared to take the fight to courtroom for you. Call us first before speaking with any insurance company or choosing a non emergency doctor. You do not want to give statements to these individuals that may go against your interest. As an injury attorney who has held many leadership positions in the community, several news stations have come to me for input on a variety of legal issues. 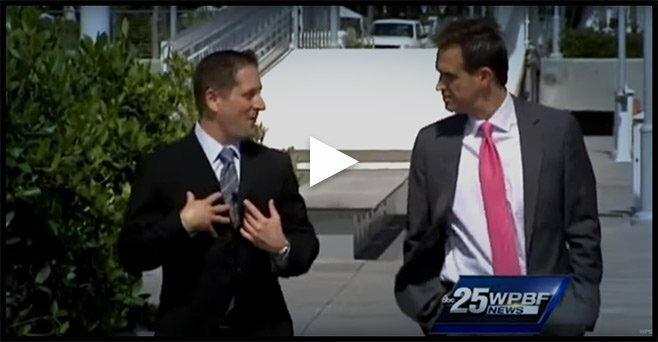 Here is a news segment discussing the proliferation of dash cams, along with the legal implications of using them. Make sure you are okay and call an ambulance if you are injured badly. If it is safe to do so, take pictures of the accident scene, such as the location of the vehicles within the road, along with their damage and the location of any skid marks or debris. Also, collect the contact information of any witnesses. Before you call any insurance company, call us first. Without proper legal representation, you may unknowingly make statements to the insurance company that will hurt your case. And if the statement is recorded, you will never be able to change what you have said. Whether you are needing assistance with getting your car repaired or replaced, or getting the medical and financial compensation you deserve, we are here to help you after you've been in a car accident. We prepare each case thoroughly. We will treat you like a V.I.P. 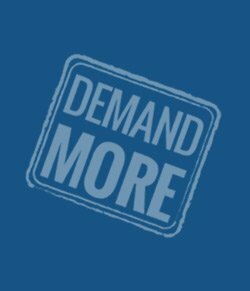 and help you Demand More for your case. 1. Don't Settle For Less! When you’re injured and don’t know what to do, it’s easy to settle for a low-ball offer just to get through the complicated and painful situation. We have helped thousands of injured accident victims recover tens of millions of dollars since 1998. Let us help you maximize your medical and financial recovery. Our firm includes a litigation team with a Board Certified Civil Trial Lawyer. The rules regulating lawyers only allow Board Certified lawyers to call themselves “experts” in their field. Call us when you are injured in an accident and know that you will have an expert on your side. 3. Be Treated Like a V.I.P. Every client, whether their case is big or small, will be given the time and attention they deserve. We get to know our clients on a personal level so we can better help them. Many of our clients have become our longstanding friends. Don't speak with an insurance company or choose a non emergency doctor before calling an experienced personal injury attorney in West Palm Beach. You do not want to give statements to these individuals that may go against your interest.